Psst!?! Fantastic book offers to be had! Last Friday (19th July) I ventured out from my desiccatingly cooled and air-conditioned fortress into the Belfast sunshine. My plan was simple – go to St George’s Market; purchase lunch; retreat from sunshine; consume lunch. This was simple and effective – or so I thought! It was all going well until I passed a second hand book stall and spotted ‘The post-medieval archaeology of Ireland, 1550–1850’ … for £10. This was a book that retailed for £65 (if I remember correctly) when it first came out. That wasn’t a problem. 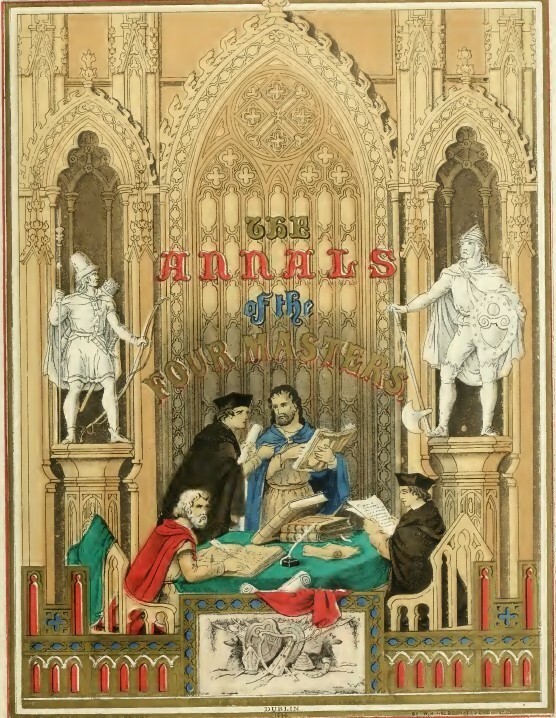 Neither was the fact that volume two (Ireland and Britain in the Atlantic World) was also there … also for a tenner! By the time I’d gone to the bank, gotten out more money, and eventually left, I’d picked up copies of three other great books from Wordwell … all for stunningly low prices – and all new, in mint condition! Anyone who’s known me for any length knows that I just adore books … books on Irish archaeology all the more so. If you have an image of me waddling back to my office, sandwich balanced precariously in one hand, trying to cradle a large package of books, but beaming with happiness … then you’re not far off the mark! I eventually got back to my desk, inhaled lunch, and began a close scrutiny of my new purchases. Oh yes! This was the good stuff … crisp paper, lovely illustrations … and the smell … oh that smell! New Book Smell! … some of them even had radiocarbon dates! This was heaven! Not content with knowing that I’d just had ‘a great deal’ … I needed to be able to quantify it. I wanted to be able to rejoice in the wondrousness of the deal … but with figures attached. ‘Yes, I saved a staggering quintillion percent on the regular prices, don’tcha know?’ … ‘it’s an average saving of twelfty-four mega pounds per volume!’ … yes! That’s where it went wrong! I went and looked up my purchases on the Wordwell website … I was in for a shock when I found that I could have purchased all of the volumes direct from Wordwell for just about the same price as I’d just gotten them. If you think I’m here to have a whinge and a moan about not getting as good a deal as I might have liked, you’re wrong! Totally wrong! I may have required a moment to regain my composure and wipe a manly tear from my eye, but then I rejoiced! In my first scenario, only I benefited from this good fortune – right place and right time equalled loads of lovely books … but just for me! This way there are loads of people who can benefit from the same good fortune as myself. There’s only one problem … all these lovely people (just like you, reader) probably don’t know about all these wonderful books. Like a matchmaker of old, I want you to meet up and form a lasting relationship. So, gentle readers, please meet some remarkable books that you may like to get to know better. The post-medieval archaeology of Ireland, 1550–1850. Papers presented at the 1st Annual Conference of the Irish Post-Medieval Archaeology Group … yours for €12. 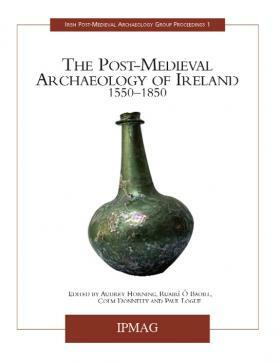 Ireland and Britain inthe Atlantic World (Irish Post-Medieval Archaeology Group Proceedings 2) also €12. Lough Kinale: studies of an Irish lake (The Discovery Programme Lake Settlement Project: Discovery Programme Monograph No. 8) … just €15. The archaeology of Killeen Castle, Co. Meath … also €15. Rathcroghan: archaeological and geophysical survey in a ritual landscape … again, €15. These are all beautiful volumes that I’m delighted to have in my library, and I would recommend them to any student of Irish archaeology. I’m still exploring them, and it’s a beautiful adventure! 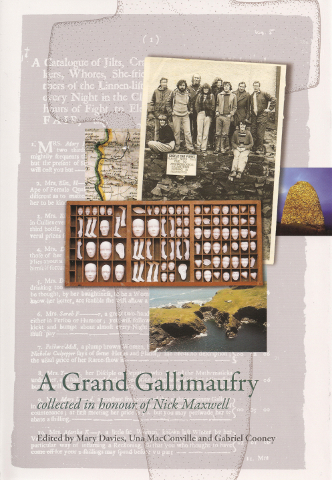 Archaeological investigations in Galway City, 1987-1998 … not only did I buy this when it first came out, I actually paid for it over a year in advance of publication – that’s how much I wanted it! … and now it can be yours for €20. Coolure Demesne crannog, Lough Derravaragh: an introduction to its archaeology and landscapes … yours for €12 – I can hardly believe it! Discovering the Neolithic in County Kerry: A passage tomb at Ballycarty – a beautiful and important book on a Neolithic excavation, and just €10. Excavations atFerriter's Cove 1983-1995: last foragers, first farmers in the Dingle Peninsula, Woodman’s masterful publication on a defining Mesolithic excavation – also €10. The bog body from Tumbeagh – an excellent account of the finding of a bog body and a mere €15. The Bronze Age landscapes of the Pipeline to the West: an integrated archaeological and environmental assessment – an important work, and essential for anyone interested in the Irish Bronze Age - €12. 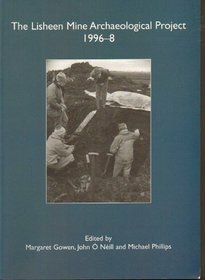 The Lisheen Mine Archaeological Project 1996–8 – I can’t believe that copies of this are even to be found anymore – excellent value at €10. Three Irish gaspipelines: New archaeological evidence in Munster – so many great excavations in this one, not the least of which was the Tankardstown Neolithic house. It was published in 1988 and it’s a near miracle that copies even exist for sale, don’t mind that it’s yours for only €10. The North Munster Project (2 volumes) – it’s practically theft to take it for €35. At that price, I’m tempted to buy it again! Underworld: death and burial in Cloghermore Cave, Co. Kerry – another lovely book for €15. Excavations 2004:summary accounts of archaeological excavations in Ireland – one, perhaps, only for the more serious student of Irish archaeology, but a great bargain at €15. If you really hunger for excavation reports, Wordwell are even doing an Excavations Bulletin Special Offer where you can choose any four of seven selected volumes for €50. Above and beyond: essays in memory of Leo Swan – just €20. Relics of old decency:archaeological studies in later prehistory. Festschrift for Barry Raftery - €20. From ringforts tofortified houses: studies on castles and other monuments in honour of David Sweetman - €15 (though I should point out that the object of this volume, D. P. Sweetman, is very much in the land of the living – long may he thrive!). There are two other books in my personal collection, and available at ridiculous discounts, that I’d happily recommend. First is Medieval ring brooches in Ireland, by Mary B Deevy, for €10. This is still the premier account of these incredibly interesting objects – well worth having in your library. Slightly more of general interest is Chris Lynn’s excellent Navan Fort: archaeology and myth for €10. You won’t find a better introduction, and by the acknowledged expert on the site, too! 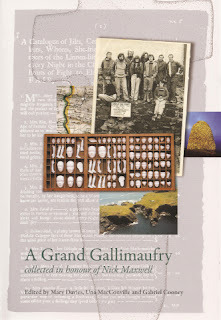 A grand gallimaufry:collected in honour of Nick Maxwell, €10. Illaunloughan Island:an early medieval monastery in County Kerry, €12. FARNHAM: Images fromthe Maxwell Estate, Co. Cavan, €10. I’m not going to list them all, but there are plenty more quality books at bargain prices to be had at the Wordwell sale – go take a look! If you do decide to buy anything from Wordwell after reading this, please let them know where you heard about their sale & tell them that I say ‘hi!’ … I don’t work for Wordwell, and I’m not getting paid for writing this piece … I just genuinely love good books and want to see them go to good homes that will appreciate them! If you’ve written/published an archaeology book and you think I can help bring it to a wider audience, please let me know & I’ll do my best! But right now … get on over to Wordwell and sort out your summer reading before the weather goes! On the other hand … if you decide to go to Amazon instead/as well … please go via the portal at the end of this post … for every sale made, they pay me a little commission! I’m afraid that I’m becoming ‘that’ guy. I’m becoming the old dude who harangues the younger generation about how they don’t know how good they’ve got it. I’m turning into a one-man version of that famous Monty Python sketch. But it’s true! The younger generation don’t know how good they’ve got it! Take books, for example. These days there are any number of places where you can find the latest research on line. Admittedly, all too frequently, it’s held just out of reach behind a pay wall … but it is there and it can be found. When I was first in university the only way to search for a particular volume was by trawling through the card index. One of the disadvantages of this system was that you pretty much had to know exactly what you were looking for. The cabinets, filled with individual hand-written and typed cards, were sufficiently vast to make it prohibitively difficult to search through by hand. In the early 90s I spent quite a bit of time hanging about the James Hardiman Library at UCG (now the National Universityof Ireland, Galway). Ostensibly, I was working on my Master’s thesis, but, in reality, I was just reading anything that took my fancy. On many days my routine would be to immerse myself in the card index for several hours, flitting form author to subject index, and back again, all the while taking careful note of bibliographical details and shelf location numbers. When it came to volumes not publicly available, all relevant details (and many not so relevant ones) had to be carefully transcribed onto pre-printed library cards and handed to a (generally) less than enthused librarian for collection from … The Basement! For an awful long time the term ‘The Basement’ represented a number of things to me. It was a place where all the old books were kept – the good stuff! In terms of my personal interests, it was where they hid all the writings by the luminaries of early Irish archaeology and history … that’s where you’d find anything written by GeorgePetrie, John O’Donovan, Whitley Stokes, William Copeland Borlase, and (my favourite) Thomas Johnson Westropp. It was a place where only the librarians could go. With that came the realisation that anything requested from the depths would, invariably, take some time to retrieve. Somewhere along the way, I must have become enough of a fixture (or exasperation) around the library that one day one of the librarians said: ‘look, we’re pretty busy – why don’t you go down and get it yourself?’ After that, things moved pretty quickly. At first, I asked permission every time I wanted to get into the basement. This was eventually reduced to just waving and pointing at the descending spiral staircase, mouthing ‘basement? Ok?’ In time this was cut back to simply greeting any member of staff that happened to be about – they all knew where I was going and that, once installed, would cause little trouble and no damage. It was there, down in that quiet, dusty cathedral of the printed word that I learned to truly appreciate old books. It was such a joy to be able to perch on top of a ladder and browse row after row of beautifully preserved, but largely forgotten, volumes. I became used to the privilege of being able to go down there and settle in for a quiet trawl through an armful of rare volumes at any time I liked – within library hours, anyway. And therein lay the problem. These were rare volumes, not on public display, and for reference only. While I may have been granted an exemption that allowed me access to The Basement, no amount of nodding friendship with the library staff would grant me the right to bring these volumes home. Rather than stealing these wonderful books – and it did cross my mind – I decided that I’d buy my own copies. Unfortunately, in the real world, the amassing of a collection of rare volumes does not go hand in hand with being an unemployed graduate student and my dreams lay unfulfilled. As the years have passed, I’ve collected some lovely volumes, but hardly the impressive library I’d once envisioned. However, time and technology have moved on from the card index and the dusty shelves that fueled the imagination of my much younger self. This is why I say that researchers entering the field have a much easier time accessing these older volumes than ever before. It’s probably not an overstatement to say that getting your hands on a PDF copy of a 19th century volume is easier today than it ever has been – even easier than on the day it was published! A number of institutions have selflessly engaged in the scanning of tens of thousands of volumes in their collections and made them freely available to anyone interested – all that’s necessary is an internet connection and the will to find them. At this time my plan is to share a set of links to some of the volumes I’ve found, over a series of blog posts. It is in no way exhaustive, so I’m happy to add links to volumes that may have escaped my attention. In this way, you too can amass an important repository of archaeological and historical knowledge, without expending anything more than your electricity bill and your broadband download allowance. The Annals of Loch Cé cover events, mainly in Connacht and its neighbouring regions, from 1014 to 1590. It takes its name from Lough Cé in the kingdom of Moylurg - now north County Roscommon - which was the centre of power of the Clan MacDermot. For its earliest centuries it used the Annals of Boyle (source: Wikipedia). William Maunsell Hennessy edited a two volume collection in 1871. The Annals of Ulster span the years from AD 431 to AD 1540. The entries up to AD 1489 were compiled in the late 15th century by the scribe Ruaidhrí Ó Luinín, under his patron Cathal Óg Mac Maghnusa on the island of Belle Isle on Lough Erne in the province of Ulster. Later entries (up to AD 1540) were added by others. Previous annals dating as far back as the 6th century were used as a source for the earlier entries, and later entries were based on recollection and oral history. T. M. Charles-Edwards has claimed that the main source for its records of the first millennium AD is a now lost Armagh continuation of The Chronicle of Ireland. (source: Wikipedia). The Annals of Clonmacnoise are an early 17th-century Early Modern English translation of a lost Irish chronicle, which covered events in Ireland from pre-history to A.D. 1408. The work is sometimes known as Mageoghagan’s Book, after its translator. (source: Wikipedia). Denis Murphy published them in 1896. The Annals of Tigernach is a chronicle probably originating in Clonmacnoise, Ireland. The language is a mixture of Latin and Old and Middle Irish. (source: Wikipedia) These were published by Whitley Stokes in Review Celtique (1895-1897, 15-19). If I’ve missed out any, or there are better versions available, let me know and I’ll incorporate them into the text. OK ... I may be turning into 'that' guy who harangues the youth about how they've never had it so good ... but I'm not jealous - I'm joyous! After 20 years I now have my own collection of these beautiful and endlessly fascinating volumes - for free. I'll always prefer the smell and heft of a real book, but PDFs have their attractions too. If I've introduced even one person to these volumes for the first time, that will be something special, too. So ... go ... explore! There's so much to see! You, lucky, lucky people! Update: Lisa Spangenberg reminds me that there is a treasure trove of early Irish literature and related materials available from the CELT (Corpus of Electronic Texts) website, and can be made into searchable ebooks. I have been asked to share and publicise this call by the Institute of Archaeologists of Ireland seeking individuals who have worked in archaeology on the island of Ireland in the last 12 months. This is a very important survey that seeks to quantify the reality of employment in commercial archaeology at the present time. If you fit the criteria, I urge you to take the few moments necessary to complete the survey. The Pay Rates Working Group of the IAI are conducting two separate surveys of archaeologists and specialists who have worked for archaeological consultancies. This committee includes members and non-members of the IAI, archaeologists who work at different levels within the consultancy sector. This is specifically designed to look at the current levels of pay and conditions of employment. All the information is strictly confidential and will be used to provide proper statistics from the same baseline. 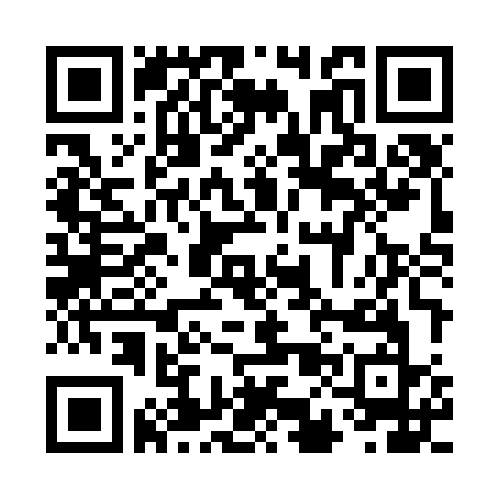 It is really important that all relevant members and non-members of IAI complete the survey. The more people the more useful the results will be to the entire archaeological community. Please feel free to fill in both surveys if both categories apply to you. The survey will be available online until Wednesday 31st July. Please share and spread this message to everyone you know who works or has worked in either capacity.